Have you ever questioned whether you have a drinking problem, maybe while suffering from a hangover and regretting too much drinking the night before, or after a senseless drunken fight, or even a DUI arrest? Asking yourself if you have a drinking problem is a big question, and the answer is not always black and white from the countless online self-assessments and health authorities providing symptom checklists to indicate an alcohol use disorder (AUD). These resources are helpful guidelines, but some signs prove to be stronger indicators of a drinking problem. People drink alcohol for different reasons and with differing intentions, but top signs of a drinking problem will be evident no matter what the drinking habits or frequency. Every relationship has ups and downs, and there are many kinds of relationships between family members, spouses, dating couples, coworkers, and friends. Experiencing difficulties in a relationship may indicate a problem that is, obviously, not necessarily a drinking problem. So, how do you discern between particular relationship woes and relational issues caused by drinking? Maybe you’ve heard criticism about your drinking, or someone close to you has expressed concern, but you’re not on the same page about it. How do you know if they’re right and you’ve got a drinking problem, or if you’re just surrounded by people who are hypersensitive about drinking? If you have multiple relationships in which people say you have a drinking problem, the chances are that all of those people are not simply hypersensitive about alcohol. If most of the issues, arguments, and acrimonious moments occur during or after drinking. If you are asked not to drink for one occasion and you are unable or unwilling to honor the request. If you have ever become violent toward another person while drinking. (Did you know that US victims believed their partners to have been drinking before a physical assault in 55% of reported cases. If you are placing someone else at risk by asking them to underplay or keep your drinking a secret. If you are being disinvited to events with friends or family because of your drinking. When patterns like these emerge around your drinking, it may be time to investigate further whether you have a drinking problem. What Can You Do If Drinking Is Wrecking Your Relationships? Some people in an intimate relationship aren’t right for each other. Similarly, if your relationship to drinking is causing problems, look toward other relationships in your life. If your relationship with friends and family and perhaps even coworkers is being damaged by your drinking, you must try to stop drinking—with support. A developing drinking problem is guaranteed to get worse if you are in isolation and away from loving people in your life. The best way to get help is to ask. No matter how much others may think you have a drinking problem, treatment cannot be forced upon an adult. If you’ve determined that drinking has become a problem for you, the priority is to stop drinking with proper help and support. If you are concerned about severe symptoms, seek help to safely withdraw from alcohol. Is Drinking Climbing Your Priority Ladder? We all have priorities, and that’s how we know better than to spend our last twenty dollars on candy when we need gas to get to work the next day. Most people balance several priorities in life, which requires the ability to decide between what we want and what we need, what prepares us and what inhibits us. But what happens when an invitation to the local bar becomes more important than preparing for a presentation at work tomorrow? Priorities can shift, becoming more or less important depending on individual circumstances, but it is important to take inventory of where drinking is placed on your ladder of priorities. Making adjustments in your schedule so you will have time to drink. A willingness to be alone or isolated to be able to drink. Adjusting your budget to drink while you’re out, or buying alcohol regularly. Skipping previously enjoyable activities and people to drink. A sense of needing to drink for any reason, such as relaxing or socializing. Collecting coins to buy a cheap drink when funds are not sufficient to buy preferred alcoholic beverages. 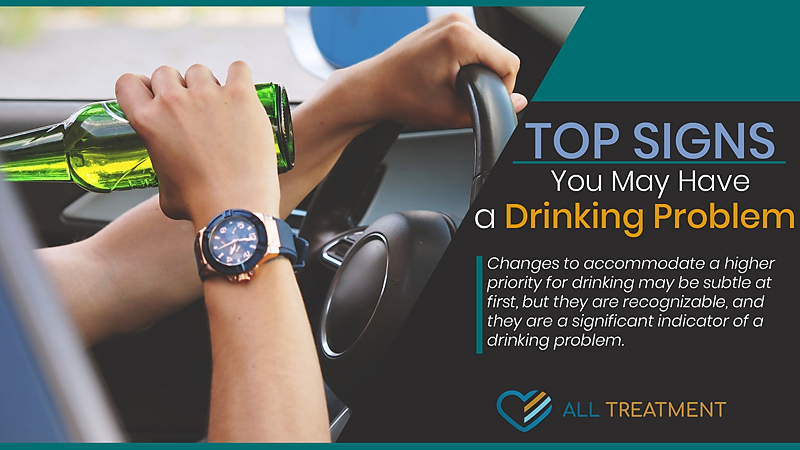 Changes to accommodate a higher priority for drinking may be subtle at first, but they are recognizable, and they are a significant indicator of a drinking problem. It may be difficult to self-assess the priority that drinking has in your life, but what if you were to stop drinking for a week? What would change? Would you find yourself with extra time that’s not designated for any purpose, extra money in your budget, or spending more time with loved ones? My Drinking Does Have a High Priority. Now What? If you have asked yourself where drinking falls on your priority ladder, and you think that you are making accommodations to drink, placing it higher on your list of priorities, the best thing to do now is talk with a professional. Even if you’re not sure where alcohol stands in your priorities, a trained professional can provide you with an honest assessment of your drinking risks. Once you get an assessment from someone who is unbiased and understands the nuances of drinking behaviors, you and that person can work together to determine the appropriate level of care for you to get your drinking in check or to stop drinking completely. What Is Drinking Doing to Your Health? You may have heard that a glass of red wine a day is good for your is heart health, but studies can only show an association between moderate drinking and low heart-disease rates, rather than proof of cause and effect. So, what about the real, provable effects of alcohol on your health? It’s generally well known that high levels of alcohol consumption are associated with several serious health issues like cancer, cirrhosis of the liver, and high blood pressure. And, did you know that drinking too much can weaken your immune system, making you a target for diseases like tuberculosis and pneumonia? Maybe you haven’t received a serious alcohol-related diagnosis, but there are several signs of how excessive drinking affects your physical and mental health. Moderate drinking is generally safe and does not cause the health effects mentioned above, but heavy, problem drinking episodes often lead to short-term physical and mental health impairments. If you have experienced any of these effects, especially chronically or over a sustained period, you may have a drinking problem. It is important to be aware of changes in your health, especially after drinking. After thinking about how your health has been over recent months, you may notice that you’ve experienced worsening depression when you’re not drinking, or you may realize that you have gaps in your memory related to the times you have been drinking. These are serious signs that you have a drinking problem, even if you don’t drink regularly. If you recognize the signs, but you’re still not sure you have a drinking problem, speak to a psychologist or other addiction professional who can give you an unbiased assessment of your drinking. These assessments are not based on how often you drink, or even what you drink. A drinking problem is assessed based on your drinking behaviors and the results of your drinking. Even if you drink once a week or once monthly, if you black out every time, you have a drinking problem. How Are You Thinking about Drinking? Do you know what and how you think about your drinking matters? There are many thoughts and attitudes toward drinking that drastically affect the way alcohol is perceived. For example, is alcohol a beverage, or a drug? Is it a stress reliever or a depressant? The “why” of your drinking is just as important as the “how much.” Much of American culture involves alcohol as it’s tied into every type of life, including healthy and active young adults, blue-collar workers on their feet for twelve hours, overburdened parents desperate for some “me time,” and top executives making high-stakes deals. It is easy to sign on to the common attitudes toward alcohol, which are harmless—until they’re not. So, how do you think about your drinking? Do you drink with the understanding that alcohol is an addictive depressant drug, or do you have something else in mind? The truth is that alcohol is a depressant drug and it is addictive. It doesn’t make you a better conversationalist, and it doesn’t make you more creative or capable of handling difficult situations. Your attitude about drinking, why you drink, and how you view alcohol all play significant roles in your drinking behaviors. Can You Change How You Think about Drinking? The short answer is yes. Changing how you think about drinking begins with asking yourself what expectations you have of alcohol. Do you expect to feel relaxed when you drink? Do you expect to reach a higher level of consciousness? Do you expect to escape from your hardships in life? When you deliberate over your expectations of alcohol, remember that alcohol is a drug and not just a beverage to drink, like water or tea. There are also other ways to achieve the goals you may assign to your drinking. A long walk or warm bath can feel just as relaxing as drinking alcohol, and meditation or your practice of spirituality will get you much closer to another level of consciousness than a hazy cloud of excessive drinking. And although alcohol does blunt your brain’s stress response, you can’t stay under its influence forever—so when drinking finally stops, the source of your stress will still be there. Furthermore, excessive drinking often leads to poor judgment and mistakes that cause even more stress. How you think about drinking can worsen a drinking problem, or it can help to reverse problem drinking and facilitate healthy and responsible habits. Have You Tried to Cut Down or Quit Drinking? The biggest, most glaring sign that you might have a drinking problem is if you have tried to cut down or quit drinking but have been unsuccessful in your efforts. Whether you tried to reduce or quit drinking for one day, one week, or one year, an inability to abstain from a voluntary activity is a telltale sign of a drinking problem. Perhaps you’ve told yourself that you weren’t all that serious about it, and it’s no big deal. Or maybe your best friend got engaged and married in the time you swore off drinking, so you told yourself it could wait. Maybe it was the company party where there was an open bar? Whatever the reason for drinking again, if you told yourself you wouldn’t drink for some time, you owe it to yourself to honor that goal. Start small. Don’t try to go from daily drinking to abstinence for several months. One week without drinking is a good initial goal. Make sure you or another trusted person carefully monitor yourself for withdrawal symptoms. Ensure that you maintain a healthy diet, drinking lots of water, and taking vitamins if necessary. It is important to check with your doctor on the safest way to maintain your health. Have support in place in the form of sober companions or meetings to attend. Stay busy. Don’t let yourself get bored, with time to drink. Spend time with friends and family who can respect and support your decision to abstain from alcohol. Seek counseling or outpatient treatment if you feel like you need the extra support to abstain from drinking. However, if you are concerned that you may have a drinking problem, it may not be enough to attempt to cut down on the amount of alcohol you drink. This tactic is rarely successful. So, You Met Your Abstinence Goal but Drinking Is Still a Problem. What if you were able to set and keep a goal to maintain abstinence from drinking for some time, but when you started drinking again, the same problems re-emerged? This scenario is easier to diagnose than most. It means you do have a drinking problem, and the next step is to remain sober indefinitely. The reality is that some people cannot tolerate alcohol at all, some can tolerate it more than most, and most people fall somewhere in the middle at moderate tolerance. 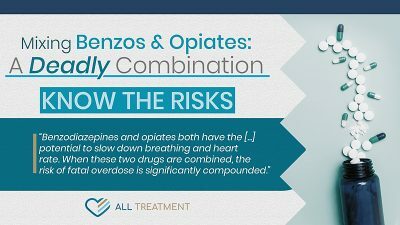 Genetics play an important role in how substances affect our brains and ability to tolerate them. Whether you can self-assess your drinking problem or if you need a professional assessment, there are many options available for you to get help, including counseling, outpatient treatment, residential treatment, and even medication that can help you stay sober. If you are still questioning whether you may have a drinking problem, the safest thing you can do is get a professional assessment and referral for an appropriate form of help that works best for you to return to a healthy and safe lifestyle.